As France moved from the seventeenth to the eighteenth century, it found itself in the grip of anglomanie – a fascination with new English ideas in the domains of science and philosophy. Chief among the English thinkers it enthusiastically embraced was John Locke. On his visits to France and in his personal correspondence, Locke interacted with prominent French thinkers, scientists and savants of the day, such as Charles Barbeyrac and Pierre Magnol, and his works engaged in a critical dialogue with those of Descartes. However, Locke has been fêted to such an extent that his position in the history of ideas in France is often overlooked. 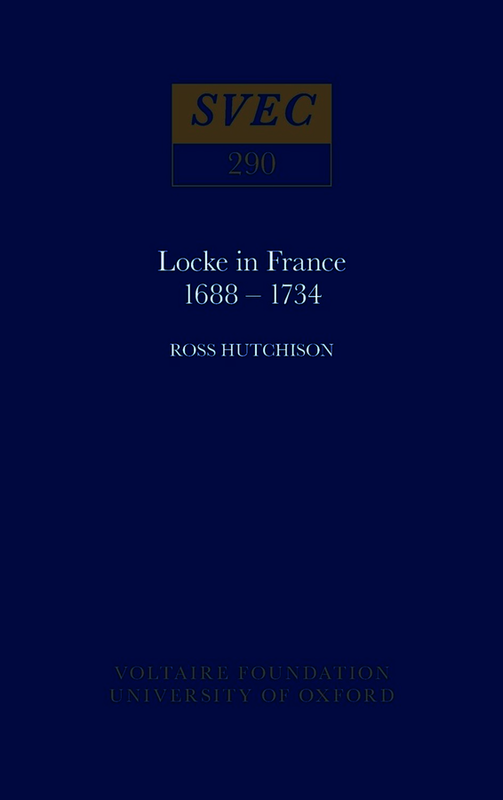 In Locke in France 1688-1734, Ross Hutchison re-examines and re-contextualises the precise nature and extent of Locke’s influence in France by exploring how his ideas were incorporated into contemporary French debates and controversies in the transitional period from the seventeenth to the eighteenth century. Hutchison highlights the various channels of dissemination which brought Locke to the attention of the French, including translations of his major works and his personal friendships with French Protestant exiles. Hutchison also presents case studies of interactions in which Lockean ideas played a dominant role in the evolution of French thought, ranging from political theory to the nature of language, theories of education, and the relation between soul and matter.